“The governor devoted much of this evening’s speech to the people of Flint and the ongoing water crisis. I was happy to see that his first priority was addressing the health and well-being of the community. As a grandfather of two, I cannot imagine how angry I would be if my grandchildren were put in this situation. We must end the political blame game and come together to make sure nothing like this ever plagues our state again. “I’m encouraged to see that the governor called for a commission to build a 21st century infrastructure to complete an honest assessment of where we are at currently. He also called for a strategic plan to examine future infrastructure needs in Michigan so we never have another situation like what happened in Flint again. I look forward to working with my colleagues in the Legislature and the administration to find a way to overcome this disaster and to make sure proper oversight and accountability are put in place. “We need a viable, long-term solution that ensures residents in Flint and other cities with aging infrastructure have a safe, reliable drinking source. No one should have to worry whether or not their city’s water could cause irreparable damage to their child’s development. If you are interested in helping with relief efforts, would like to donate water or are looking for assistance, please visit www.helpforflint.com. “Detroit Public Schools and other troubled districts throughout the state also require our attention. The Legislature, the administration and all parties involved must devise a solution that provides students with a quality education that prepares them for the next level, whether it be college or career, without being overly burdensome on our larger investment in K-12 education. “Children in Detroit and children all across the state deserve a bright future without worry. Education is the cornerstone to Michigan’s economic development and our impressive economic revival. Michigan is already a national leader in funding preschool and advancing STEM programs, but we still have a 19th century education system in the 21st century. I support the governor’s call to create a commission for a 21st century education to evaluate what obstacles hold us back, what goals to achieve and what is the appropriate system of governance for schools in the future. “Since 2010, the state of Michigan saw the creation of roughly 420,000 jobs and 61,000 more jobs are projected to be created in 2016. As a part of this success, our state is now number one in the nation for manufacturing job growth. Additionally, Michigan’s unemployment rate has fallen below five percent, marking the first time it has been below the national average in 16 years. “I am very excited to hear of the governor’s plans to test new mobility technology for self-driving cars at the Willow Run research facility. If done correctly, Michigan can become a global leader in automotive research. I’ll proudly be working with my colleagues in the Legislature, the administration and Michigan’s congressional delegation to get this done. Editor’s note: For a video of Horn’s reaction to Gov. 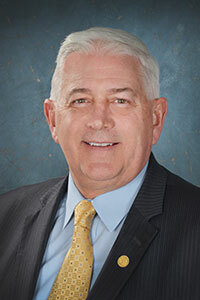 Snyder’s 2016 State of the State Address, please visit the senator’s website at: www.SenatorKenHorn.com. Click on “Video” under the Media Center tab.